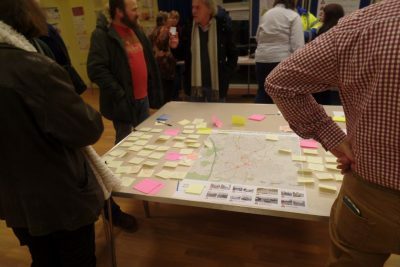 Welcome to the Neighbourhood Planning section of our website. 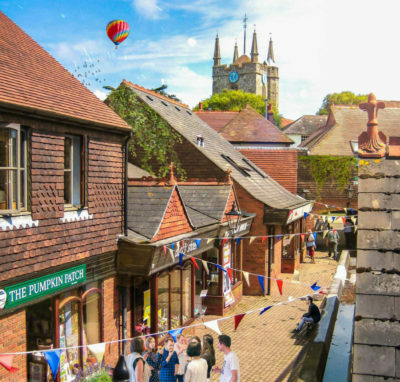 On these pages, you will find the latest information on the progress of developing a Neighbourhood Plan for Hailsham. In accordance with Regulation 16, residents and organisations will be invited to comment on the submitted Neighbourhood Plan. 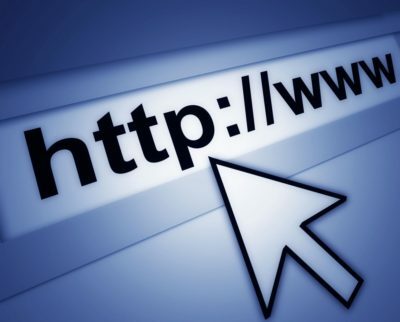 The original consultation period has been postponed and the new launch date will be announced soon. 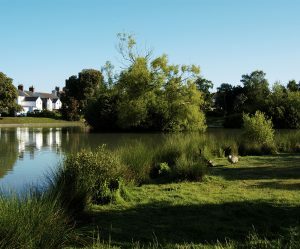 During the consultation period, copies of the Plan and response forms will be available at: www.wealden.gov.uk or via these pages. Residents who attended our most recent public consultation events held at the Civic Community Hall on 11th and 18th August were given the opportunity to find out more about the draft policies of the Hailsham Neighbourhood Plan and help the Neighbourhood Planning Committee identify priorities for local infrastructure and other provision in the future. 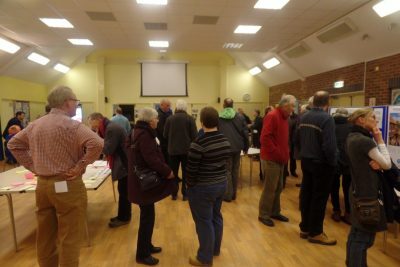 More information about the neighbourhood planning process was available, including the Committee’s achievements to date and residents were able to view maps and display stands, ask Committee members any questions about the way forward with the Plan and have their say on how future housing development can best be accommodated in the future. 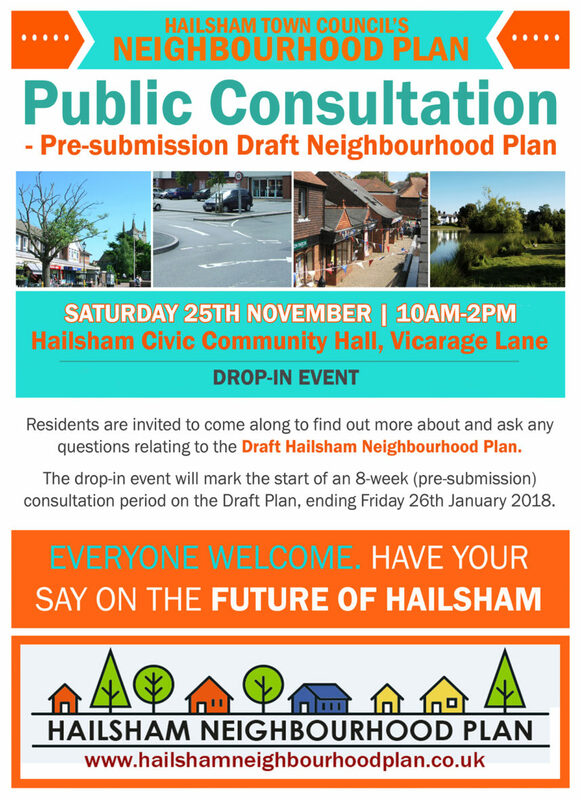 Residents were invited to attend an interactive drop-in session to discuss and find out more about the progress of the Hailsham Neighbourhood Development Plan at the Hailsham East Community Centre on 9th February. 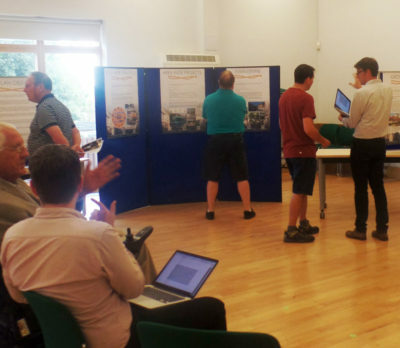 At the public consultation, organisers were on hand to explain more about the neighbourhood planning process — including recent achievements — and explore how the Town Council and you — the residents — can take it forward successfully. >>View Vision & Objectives Workshop FINDINGS REPORT. Results from an interactive ‘clicker’ poll which indicated that 64% of participants the redevelopment of brownfield sites and infill sites within the urban areas is the best way to accommodate new development in Hailsham. 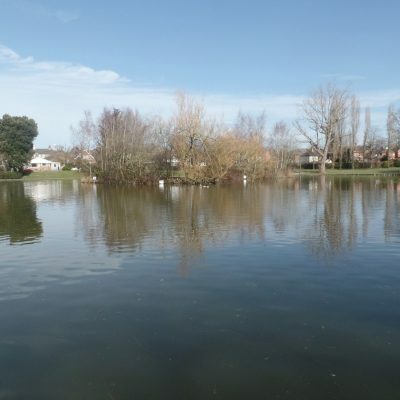 41% of participants said they are happy with the community facilities in the town – although additional investment is needed – with 27% using facilities outside of Hailsham in nearby towns such as Eastbourne. 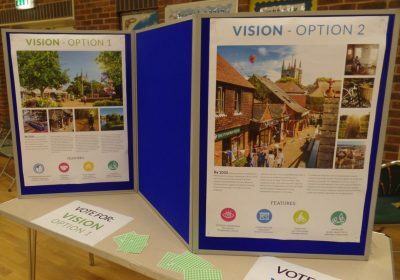 Find out more and get an in-depth report on the poll findings by visiting our Neighbourhood Plan public consultation page.